At 31 March 2017, after almost 2 years in business, we had 95 customers and $24,599 of monthly recurring revenue (MRR). This is up from 87 customers and $21,945 MRR at 31 December 2016; 78 customers and $18,300 MRR at 30 September 2016 and 69 customers and $14,650 MRR at June 2016. 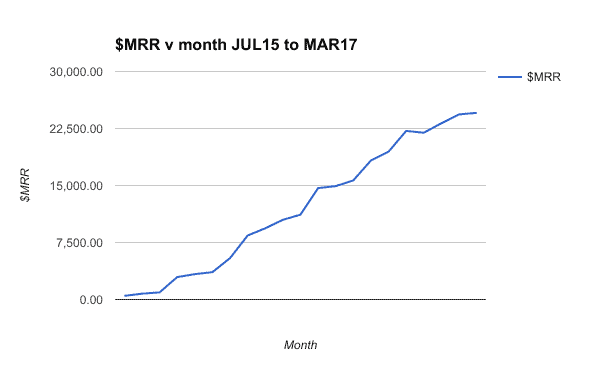 This growth in MRR is being driven by new customers and some existing customers growing and needing additional services. Our churn percentage last quarter was 2.74%. We’re aiming for under 1% per month. Towards the end of 2016 we went through a period of high growth which delayed onboarding for new customers and also caused a drop in our service standards for some existing customers. This was a major concern of mine and the team has put in a huge effort over the last 6 months to turn this around. I’m pleased to see the improved churn figures in February and March. Our focus for Q2 isn’t growth, but rather it’s 100% about delivering an exceptional experience to our existing customers. We are aiming for churn of less than 1% in Q2 and beyond. Getting better at setting expectations up front with customers about what they can expect from our service. Reviewing client files and looking for ways we can improve the way we work with clients or save them time. Having calls with clients to check-in and to see how they are finding working with Bean Ninjas. This helped us to develop a deeper understanding of what our customers want, what they value and any frustrations they have. For example: A common question we get asked by clients is ‘Why are you requesting our bank balance or copies of bank statements when there is a bank feed in Xero?’. The reason: To check that the bank feed in Xero has worked correctly. Feedback suggested that clients find the process of providing bank statements each month time consuming and frustrating. We’ve taken that feedback on-board and are trialling an app called Hubdoc which can extract bank statements from online banking on our behalf. We previously focused on communication response times and aimed for replies to emails within 24 hours. But now we’re realising that what’s more important is the speed at which we deliver the agreed outcomes (e.g. provide monthly reports or finalise a Xero setup). We have been tracking email response times each week and we report on our fastest and slowest bookkeeper (the turtle for the week). The team knows we are tracking this and our email response times are generally pretty good. I’ve realised recently that the speed with which we can deliver monthly reports (after the end of each month) and the time it takes for us to on-board a client (number of days from a client signing up to completing the on-boarding) are key metrics for us. I’m experimenting with how we can better track this and plan to have a better response time metric for our next monthly report. What I learnt here is that measuring a particular metric can change the behaviour of your team, so it is important to think about what metrics you are tracking and the impact this will have on your business. In December I made a decision to slow our growth so that I could focus on the quality of our product. Originally Ben and I wanted to achieve 10% month on month growth. Why? Because it seemed to be what startups aimed for …. given that their valuation was often based on growth. Having two founders meant that we needed a larger revenue base and I wanted us to grow quickly so that Bean Ninjas could support both of us full-time. 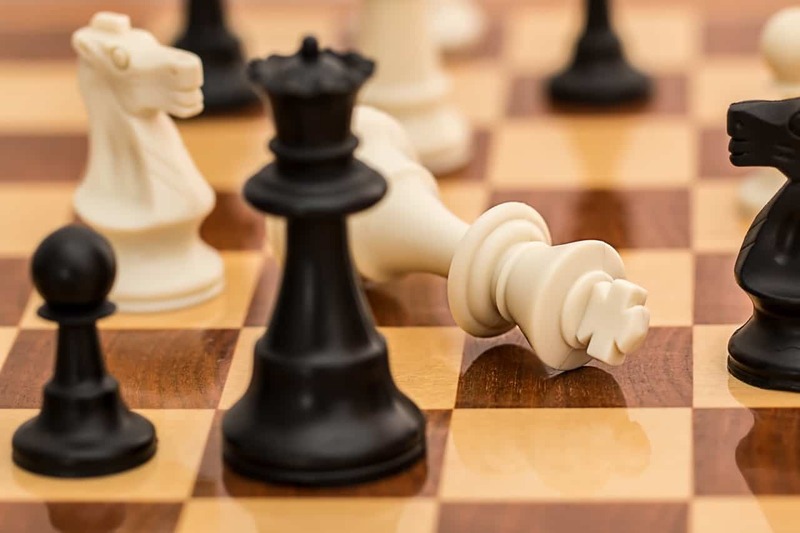 “Before you can plan for business growth, it’s critical to understand how your growth plans will affect your bottom line in the short, medium and long term.” This was what hurt us. The increased costs of growth meant that in the later part of 2016 our increased revenue wasn’t reflecting in our profits. I reviewed our customer base for unprofitable customers and tried to understand why they were unprofitable. In some cases, our client’s businesses had grown and the scope of our work had increased but our fees had not (scope creep). In other cases there were automation tools we could use to speed up the way we were doing the bookkeeping. Scope creep is one of the risks of fixed fee pricing. During our period of high growth in 2016 we took our eye off the ball with this. I spent January and February talking with our customers and getting a better understanding of their requirements. 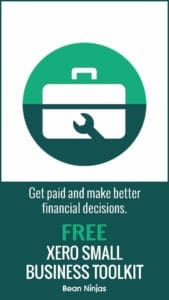 This helped me to identify where there had been instances of scope creep and to discuss fee increases with these clients. With our focus on quality I knew I needed to increase prices so that we could invest in improving our systems and processes. One of the challenges with the productised service business model is working out what to include in each package and how much to charge. Having onboarded over 100 clients at Bean Ninjas we now have a much better feel for this and I felt comfortable increasing prices for new customers. We have three key types of expenses: marketing, labour costs and overhead expenses. Our focus for Q1 was on exceeding the expectations of existing customers rather than on attracting new ones. I stopped all marketing activities to focus on this. Honestly, I think the best form of marketing is doing great work that speaks for itself. I figured that I could always ramp marketing up again once I was happy with the operational side of the business. 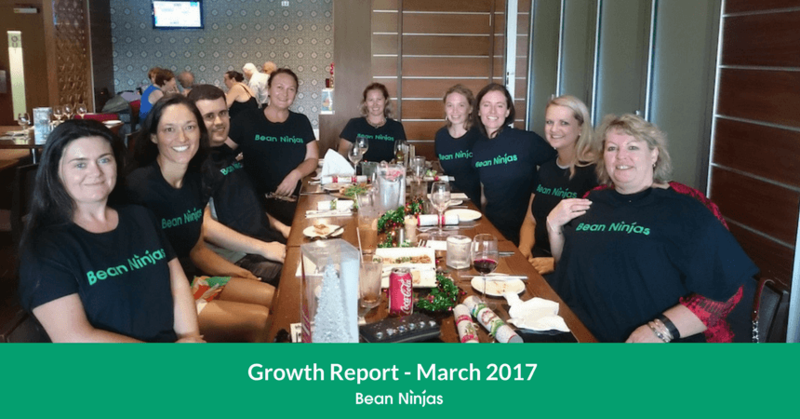 In March I started the Bean Ninjas blog again and was able to become more active on social media and in online communities. Using employees’ and contractors’ time sheets I was able to do some analysis of where our labour hours were being spent. Onboarding: The cost of onboarding new clients is high. 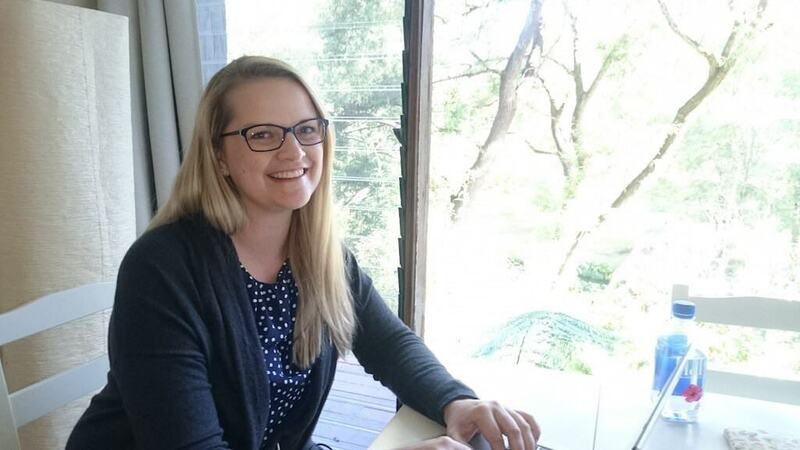 During January and February I looked after on-boarding new Australian clients which gave me an opportunity to work on improving our process and also helped to control costs. Management time: Our bookkeeping team in Australia had grown significantly, increasing the management burden on senior bookkeepers. Their productivity was reducing as they spent more time training and managing new bookkeepers. To reduce the management burden we needed a smaller, highly skilled and efficient team. This meant reducing the workload of some of our casual staff and increasing the bookkeeping hours for our senior bookkeepers. I also completed a detailed review of our overhead expenses. Cost control isn’t exciting, so months can easily go by without looking at it. As a remote team our overhead costs were already pretty low. But going through our recurring costs line by line was an excellent exercise and I found a number of areas where we could reduce overheads. With respect to costs, it’s also important to consider whether or not your pricing covers the costs of delivering your products or services, the quality of the service you want to provide and what sort of deliver time pressure you will be under. The Unattainable Triangle is used to describe the constant tension points of a business. 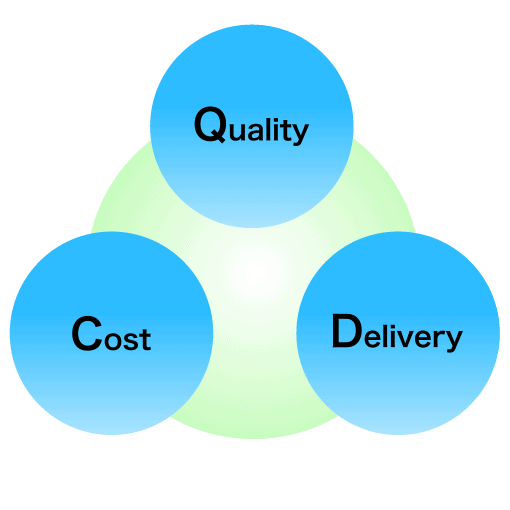 As a customer you might want all three, high quality, fast delivery time and low cost, but in reality it is really only possible for a supplier to deliver on 2 out of 3. Customer A might want something high quality and low cost in which case they might need to be more flexible on delivery time. Customer B might want something quickly and cheaply and is therefore willing to make sacrifices around quality. I’ve realised that I only want to deliver a quality service that has fast turnaround times. Which means we don’t need to be the cheapest service out there. When we first started the business following the WP Curve business model we were providing bookkeeping services for $99 per month. Over time, I’ve realised that to deliver superior service, our original price points weren’t feasible. Thinking of our goals in terms of the Unattainable Triangle helped me to feel comfortable in increasing our prices during January 2017. Our goal with Bean Ninjas was to create a productised service which means a defined service at a set price. But in 2016 we said ‘yes’ to too many clients, including clients from different industries. We also took on complex clients that required Ben’s or my full attention to set up. This took us away from running the day to day operations, created bottlenecks and slowed growth. One of my favourite articles on this topic is Brian Casel’s “The Anti-Agency”. This article reinforces the idea of solving a very specific problem for a very specific customer. I read this article every 6 months or so and serves as a great reminder of what I’m trying to achieve as a productised service. One of our goals for Q2 is to be far more disciplined with our scoping and engagement process, so that we can stay focused on our core bookkeeping products and be a true productised service! Word of mouth is our main form of customer acquisition, followed by content marketing. Our success with word of mouth reinforces my belief that our number 1 focus should be providing an excellent experience to our customers. That includes high quality and accurate bookkeeping, open communication and fast turnaround times. Helping our bookkeeping team get through our backlog of work. 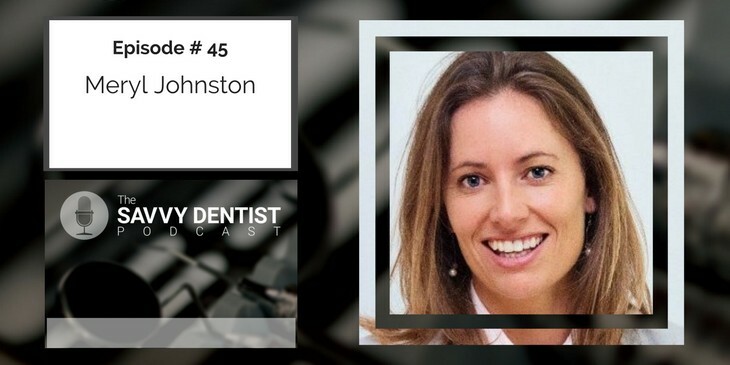 Identifying unprofitable clients and understanding why. Taking over on-boarding for Australian clients so I could improve the on-boarding experience. This didn’t leave much room for podcast interviews during the March quarter, but I’ll be aiming for 1 podcast interview a fortnight again from April. 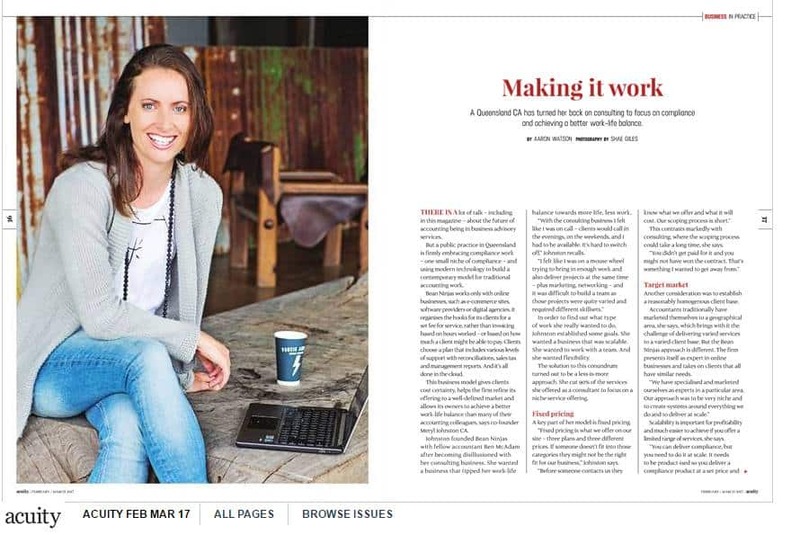 Other PR included a mention in the local Gold Coast Newspaper, an interview on Dr Jesse Green’s podcast, as well as a Chartered Accountants magazine interview. What we learnt here is that providing a quality service is one of the greatest marketing tools. This has been an important focus for us from the beginning, and it’s especially challenging when you have a distributed team. The good news is that companies such as Buffer and 7 Signals have shown that it’s completely possible to have a high functioning distributed team. However you’ve got to get your staffing right, take the time to better understand what motivates your people, and put a focus on building strong relationships with and between team members. 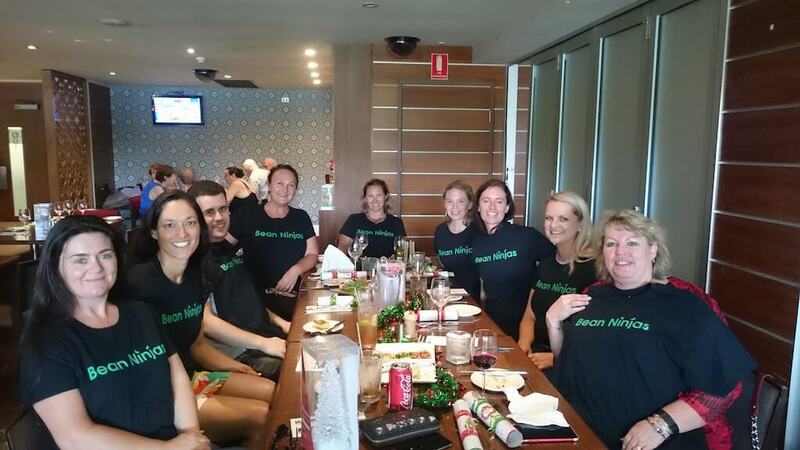 A number of our Australian bookkeepers live on the Gold Coast near me so we can catch-up for coffee or meetup and work together. Michelle is one of our Australian Team Leaders. Living in another state means that she can’t come along to many of these events. So I jumped on a plane and spent some time in Adelaide with Michelle. We worked together during the day, and also tried to do something fun together each day. We went to the Adelaide Fringe festival and one of Michelle’s favourite wineries. In less than a week we got to know each other far better than we had over the course of the previous 6 months. It also gave us the chance to dig into some client work. Sitting next to each other it was far easier to solve problems and brainstorm. 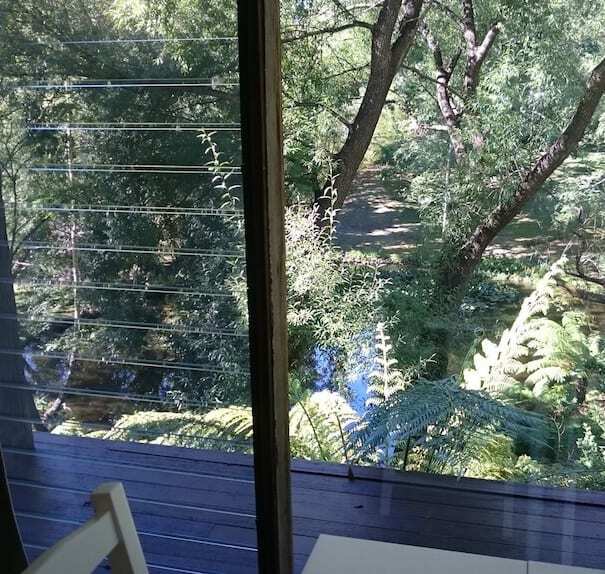 The view from our Adelaide workspace. Care to join us? I’ve now got a far better sense of Michelle’s skills, area of interest and particular strengths. One of the advantages of being a small business is that we can be far more flexible and adapt roles so that they play to the strengths of each staff member. I can be very task oriented in my interactions with people. But I also think it is important to take the time to create situations where you can interact informally with your team and they can interact with each other. It is sometimes during the informal conversations when people relax where the magic happens. If you want to retain your talent, you need to be looking at helping your employees shape the direction of their future careers. Employees value training, mentoring and coaching from management in shaping their careers. One of my goals for Q2 is to spend more time on goal setting and career planning with the team. With team members I manage directly I have a 1-on-1 call at least once a week, and with other team members, I try and have a 1-on-1 call with them once a month. I have a sense of the goals of my team, but I think we need to carve out some time to focus on their career development. I’m still figuring out what the career planning will entail, but I know that it needs to take into account both lifestyle and career goals. What would their perfect work day look like? What does the career path look like and what training and skill development is required to get there? Are there different types of work or areas of the business they would like to gain experience in?